Valerie Jarrett, one of Barack Obama's top advisers, responded after actress and comedian Roseanne Barr compared her to an ape in a tweet. Barr later deleted the tweet. "I think we have to turn it into a teaching moment. I'm fine," Jarrett said during a town hall on "everyday racism," hosted by MSNBC Tuesday night. Then she turned the conversation toward the incidents of racism that occur every day, out of the public eye. "I'm worried about all the people out there who don't have a circle of friends and followers who come right to their defense -- the person who's walking down the street minding their own business, and they see somebody cling to their purse or run across the street," Jarrett continued. "Or every black parent I know who has a boy, who has to sit down and have a conversation, 'the talk,' as we call it. And as you say, those ordinary examples of racism that happen every single day." 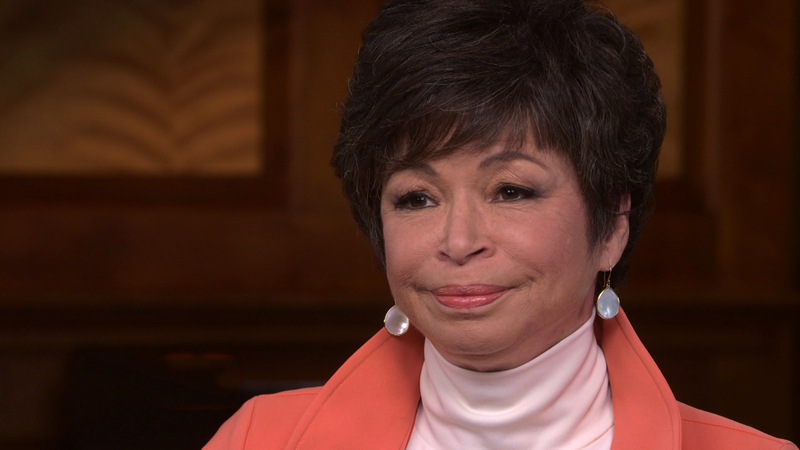 Jarrett was also asked whether she felt that the president has set a tone that makes people feel more empowered to express the kind of sentiment that Barr did. "Tone does start at the top," she responded, "and we like to look up to our President and feel as though he reflects the values of our country. But I also think that every individual citizen has a responsibility too, and it's up to all of us to push back. Our government is only going to be as good as we make it be." Earlier Tuesday, Barr had apologized for the racist tweet about Jarrett, which read, "muslim brotherhood & planet of the apes had a baby=vj." After widespread condemnation on social media, Barr initially denied accusations of racism by insisting that "Islam is not a race." Eventually, though, she apologized, tweeting, "I apologize to Valerie Jarrett and to all Americans. I am truly sorry for making a bad joke about her politics and her looks. I should have known better. Forgive me-my joke was in bad taste." Nonetheless, within hours, ABC announced it was canceling her show, a revival of "Roseanne," which had scored record ratings in its first episode. Jarrett also noted that Disney CEO Bob Iger called her before ABC announced the show's cancellation. "He apologized," she said. "He said that he had zero tolerance for that sort of racist, bigoted comment, and he wanted me to know before he made it public that he was canceling the show."